Kali O Kalam on July 2016 (short stories edition) ebook pdf file. "Kali O Kalam" from the inception it has been carefully attend various series of short stories. 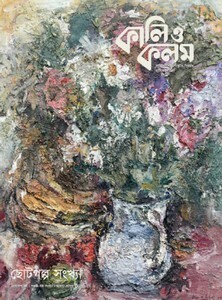 In this issue, all prosperity and the possibility that have been highlighting of short stories in Bangladesh. All stories are written by Bangladeshi young storyteller. Collect the monthly Literary Culture magazine in a pdf file the ebook pdf has 195 pages, 54mb high quality pdf size. Courtesy- amarboi online.